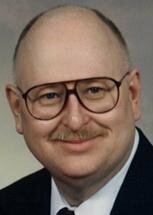 CEDAR FALLS - Richard F. Boorom, 64, of Cedar Falls, died Saturday, April 3, at Cedar Valley Hospice Home, Waterloo. He was born Jan. 13, 1946, in Cedar Falls, son of Francis C. and Adeline A. Cooper Boorom. He married Mary Jane Luze on Oct. 24, 1970, in Traer. Mr. Boorom was employed with Viking Pump Co. for 40 years as an engineering pump specialist and also held an Iowa nursing home administrators license. He was past president of the Cedar Falls Y's Men's Club and held memberships with the Civil War Round Table, both Cedar Valley and Cedar Rapids chapters, the 37th Iowa (Gray Beards) Civil War Re-enactment Group and the Iowa Pioneering Cemetery Association. He was a member of First Baptist Church, serving as past trustee and youth group leader. Survived by: his wife; three sons, Jeff (Andrea) of Minneapolis, Tim of Cedar Falls and Jon (Melissa) of Burnsville, Minn.; a grandson, Oliver Richard Boorom; a brother, Robert (Karen) of Dodge, Neb. ; and two sisters-in-law, Jenna Boorom of Cedar Falls and Linda (Robert) Blitch of Waterloo. Preceded in death by: two brothers, Lyle and Roger. Services: 1 p.m. Wednesday at Richardson Funeral Home, with burial in Fairview Cemetery. Public visitation from 4:30 to 8 p.m. Tuesday and for an hour prior before services Wednesday at the funeral home. Memorials: may be directed to Western Home Communities Pastoral Care Fund, Cedar Valley Hospice, or the Gift of Life Transplant House.